Your rides are as varied as they come. Paved roads end and become gravel, gravel leads to doubletrack, and before you know it you’re ripping singletrack and forgetting you’re on a drop bar bike. And you love every moment of it. 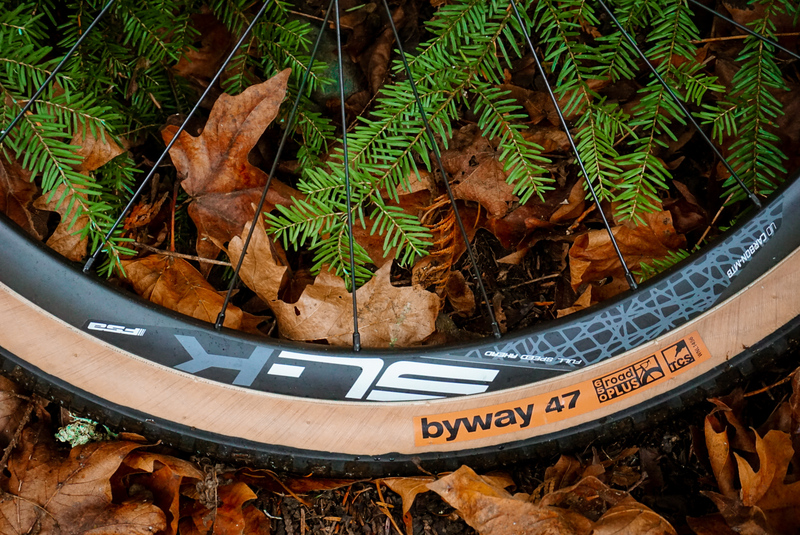 Big tires and tried-and-true Rove geometry are at the heart of our new Rove LTD and Rove NRB. 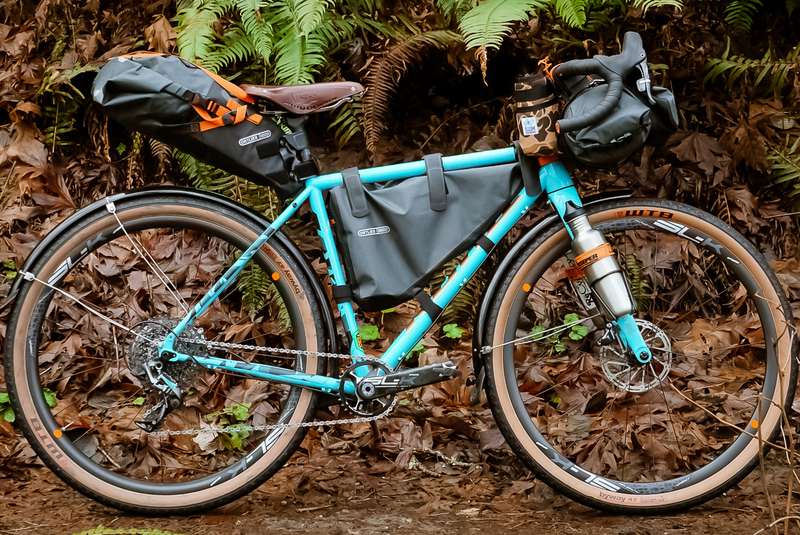 The Rove platform riders have loved for years as a commuter and a gravel adventurer has expanded to include new possibilities. 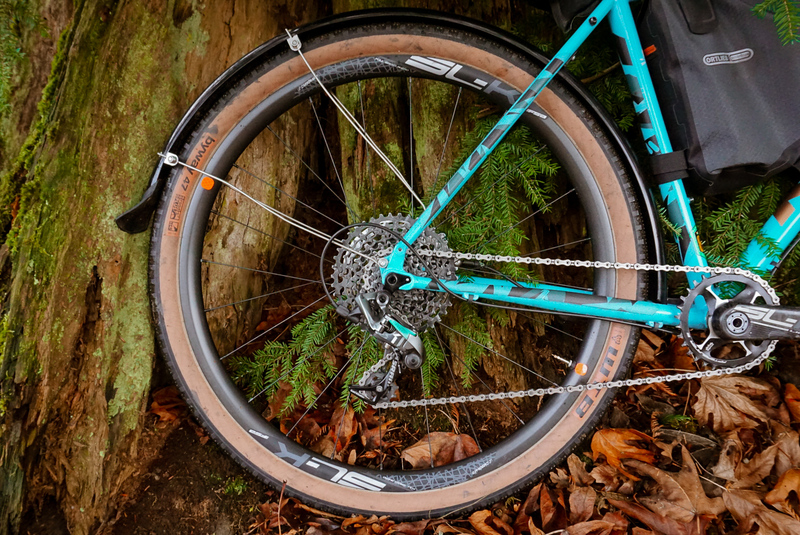 The NRB and LTD are both spec’d with tubeless-ready 650x47c WTB Horizon tires, maintaining a similar outer diameter to a narrower 700c tire while adding the flotation and comfort of high volume. 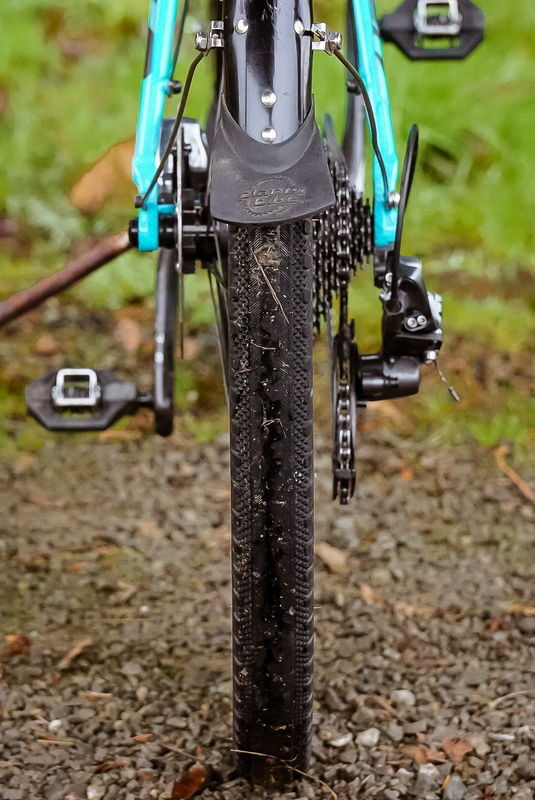 Set up tubeless and at pressures you’d normally consider mountain bike territory, the 47c tires roll surprisingly quick on pavement, giving a ride quality that really steps outside the norm for bikes this fast. 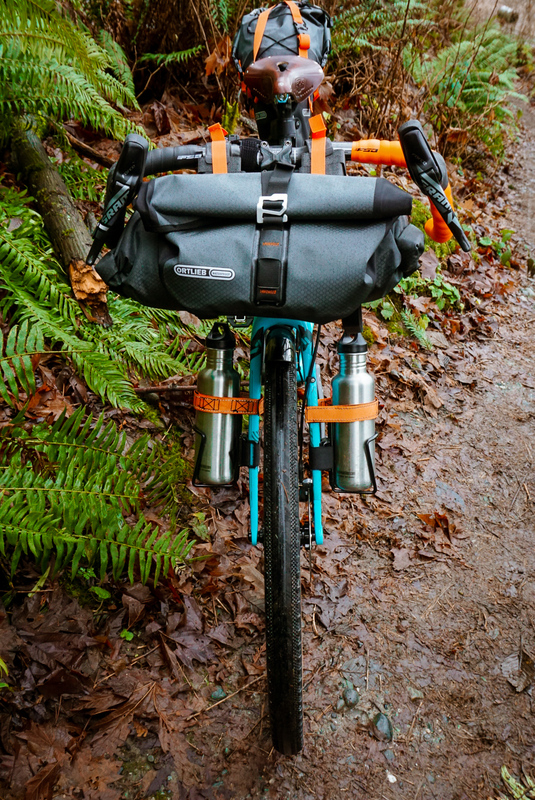 Stand up on the pedals and the efficient frames with full carbon forks do exactly what you ask of them, yet sit back and spin and you notice something’s different: road imperfections disappear underneath you while the miles disappear behind. The high volume tires truly shine when the going gets rough. The lower pressures these tires are comfortable at makes for a natural transition to unsealed surfaces. 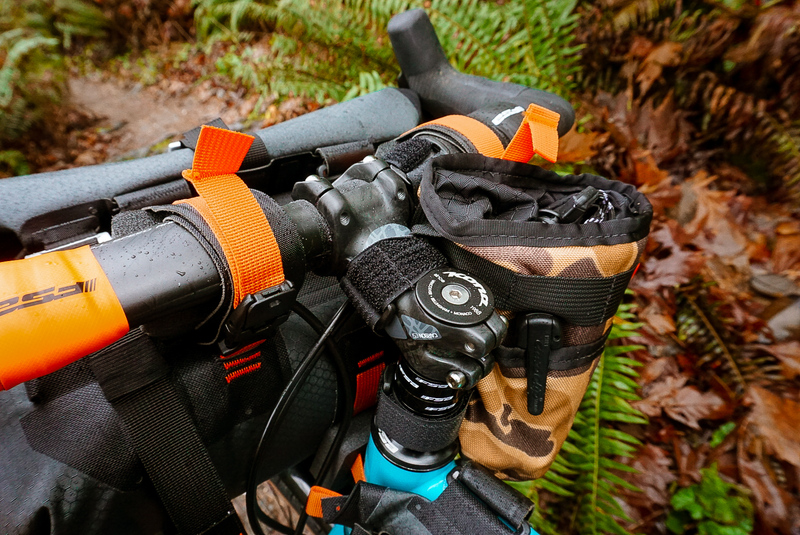 Climbing and descending grip is improved, bumps in the road don’t feel quite as big. 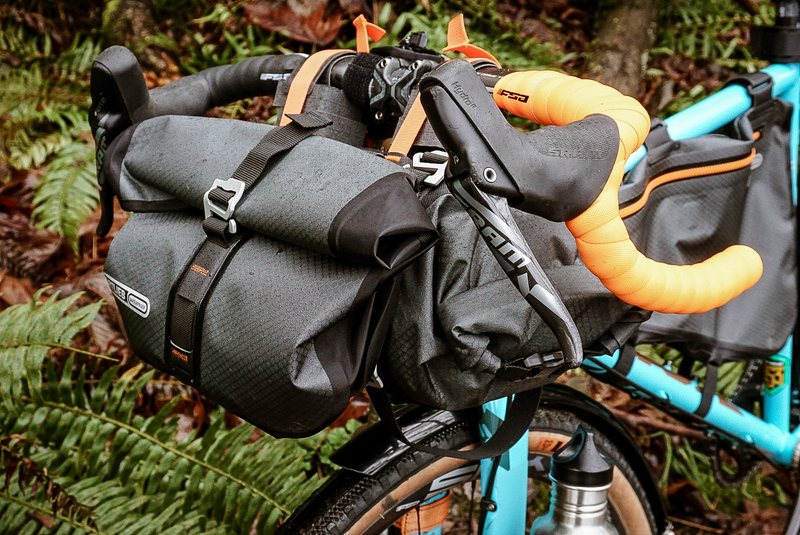 These characteristics can really open up a different kind of riding. 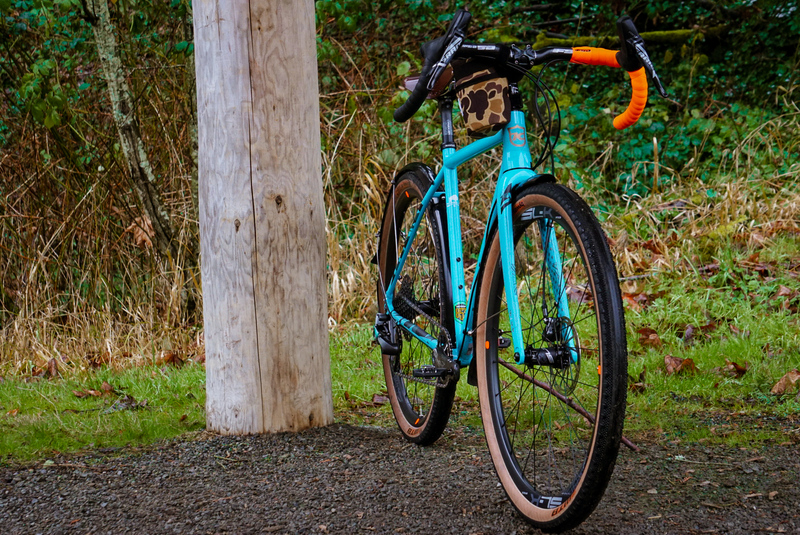 From pavement to singletrack and everywhere in between, the new Roves are a distinctly Kona take on a modern drop bar bike. We like to get rad and we hope you do too. Everyone has their own special place, and to Morgan and Stephanie of Found in the Mountains, that’s the Selkirk Mountains in British Columbia’s West Kootenays. 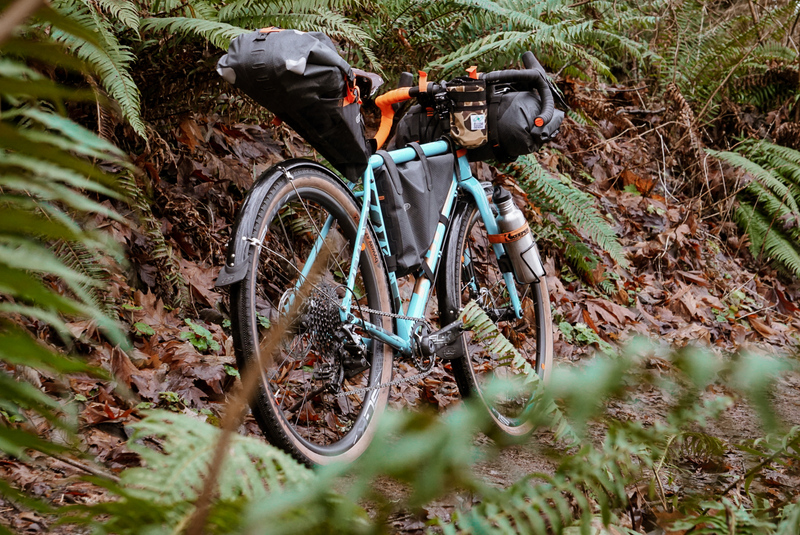 For two years, these two lived in a tiny cabin on Slocan Lake just outside of New Denver, and over that time they found that a bike that could handle all types of terrain was most suited to adventuring in the area. We set Morgan and Stephanie up with a Rove LTD and a Rove NRB DL knowing they’d seek out some special spots as former residents of this natural and undammed glacial valley. Over a couple of days, they found blissful pavement with expansive views, rail trails along the lake and through the forest, and high mountains on forest service roads. Idaho Peak is a classic destination for visitors to the Slocan Valley, the narrow and winding forest road leading from valley bottom to Silver Ridge and a relatively easy mile-long hike to the peak. As a riding destination, Idaho is known for its mountain biking trails which allow riders to explore the remnants of the area’s silver mining history. Yet the rail trail from New Denver to Three Forks, the dirt road through Sandon – a bustling mining town of more than 5,000 at the turn of the century, and the 12 km climb to the saddle are the perfect stage for the new Roves. Down at lake level, the Slocan’s resource extraction history remains in the villages of New Denver and Silverton, with the old CPR rail line coming in from Nakusp to the north. The rail line now serves as a recreation corridor, and a great way to get away quickly. Across the lake, Valhalla Provincial Park is the only park in the province to protect three biogeoclimatic zones, from temperate rainforest at lake level all the way to rugged alpine peaks. Ride the lakeside, stop in for a sandwich, and head south to Cape Horn Bluffs for one of the most scenic roads in the province. 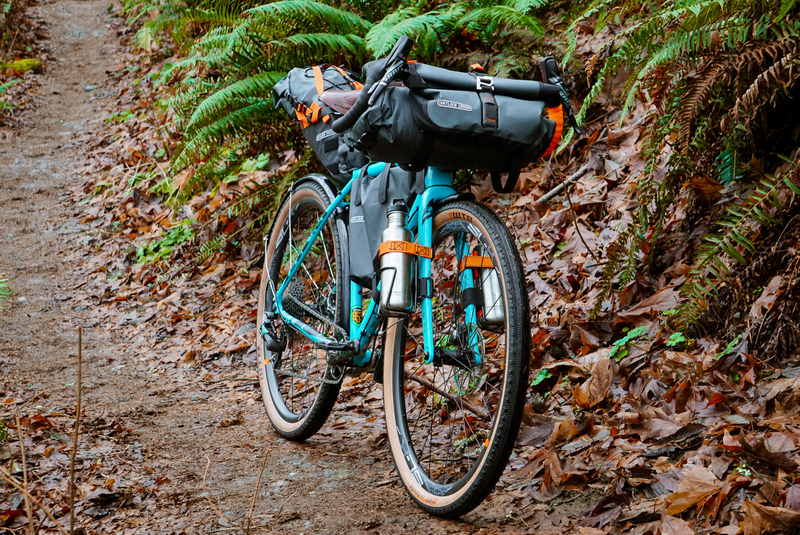 With the addition of three models with 650b wheels, the Rove line now comprises six models. The Rove enables you to expand your horizons and get just that little bit further out there. Head to the Rove platform page to check out all six models, and the Rove Innovation page for technical info and video. Das Rove LTD ist das Flaggschiff unseres erweiterten Rove Line-ups. Der Reynolds 853-Rahmen ist für die neue Generation der voluminösen 650B Reifen ausgelegt und bietet Shimano E-Thru Steckachsen vorne und hinten. Das Rove LTD, wie auch seine neuen Geschwister, das Rove RRB und das Rove NRB DL, verfügen über ein konisches Steuerrohr und eine Vollcarbongabel mit Flat-Mount-Aufnahme für Scheibenbremsen. Diese Bikes sind wirklich Konas Interpretation von einem modernen Alltags-Randonneur. Das Rove LTD bekommt eine SRAM Force 1 Schaltung mit großer Übersetzungsbandbreite, Carbonkurbeln und hydraulische Bremsen. Die WTB KOM i25 TCS Felgen sind mit Tubeless-ready WTB Horizon TCS 650x47c Reifen besohlt und drehen um SRAM S900 Steckachsennaben. Eine kompromisslose Maschine, die an ein Custombike grenzt. Ob du nun Langstrecken-Touren mit Schotterpassagen planst oder nur das Gefühl von Stahl und großen Reifen genießen willst – nach diesem Bike willst du nichts mehr. The Rove LTD is the pinnacle of our expanded Rove lineup. The Reynolds 853 frame is designed around the new generation of high volume 650b tires, with Shimano E-thru axles at both ends of the bike. The Rove LTD, along with its new siblings the Rove NRB and Rove NRB DL, features a tapered head tube and full carbon flat mount disc fork. 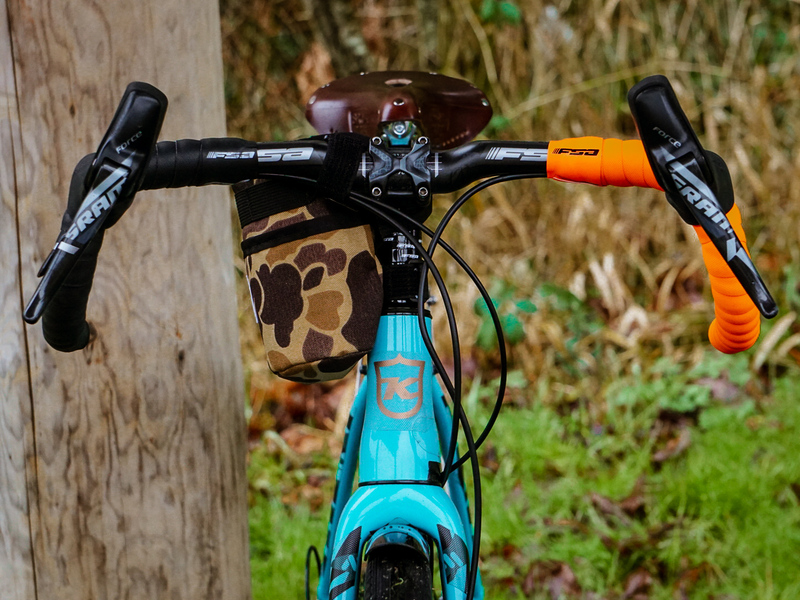 These bikes truly are Kona’s take on a modern all day drop bar bike. 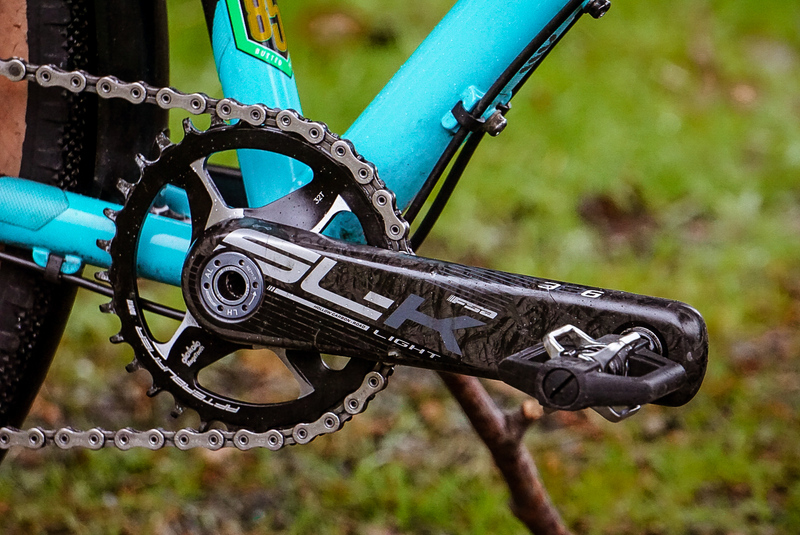 The Rove LTD gets a wide range SRAM Force 1 drivetrain with a Force carbon crank and hydraulic brakes. WTB KOM i25 TCS rims are shod with tubeless-ready WTB Horizon TCS 650x47c tires, and laced to SRAM S900 thru-axle hubs. It’s a no-holds-barred build that verges on custom. 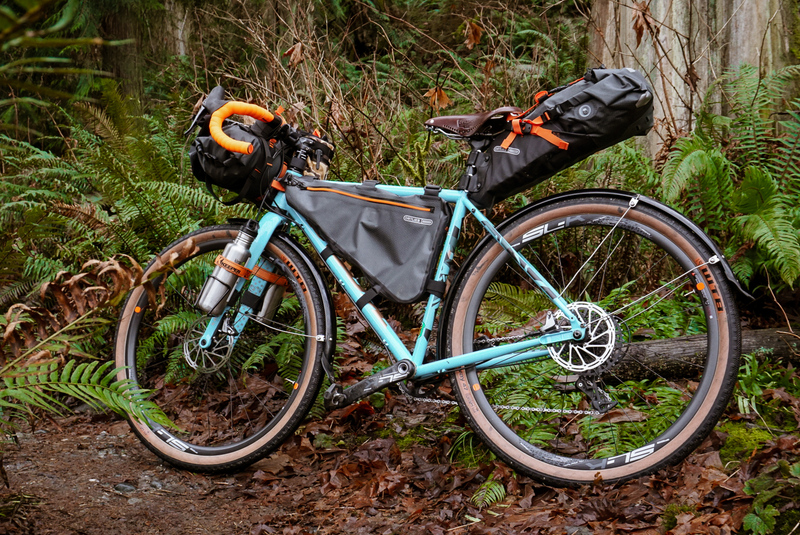 Whether you’ve got long distance gravel events in your sights, or just enjoy the feel of steel and big tires, this is one bike that won’t leave you wanting more. La Rove LTD è l’ammiraglia della nuova gamma Rove. Il telaio in acciaio Reynolds 853 è progettato intorno agli pneumatici di ultima generazione 650B, con perno passante Shimano E-Thru anteriore e posteriore. La Rove LTD, con le sue nuove sorelle Rove NRB e Rove NRB DL, ha una forcella in carbonio per freni a disco flat mount e tubo sterzo conico. 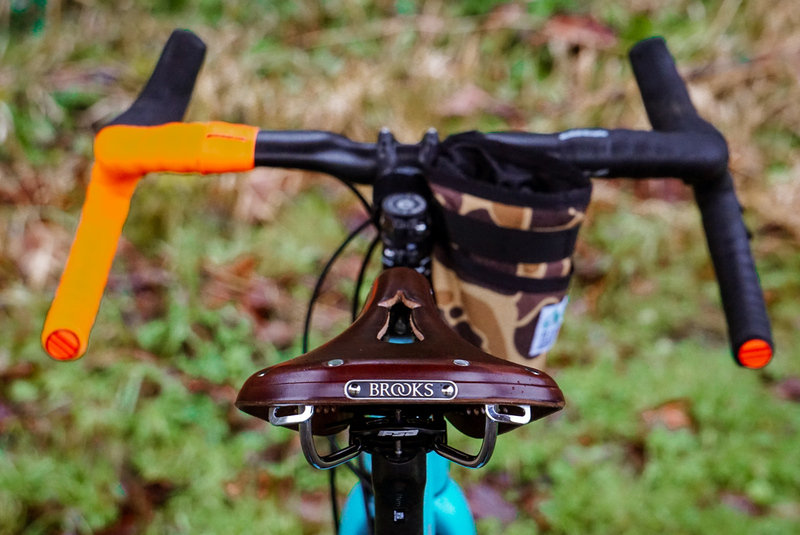 Queste biciclette rappresentano perfettamente la visione di Kona per una moderna bici tuttofare con manubrio a piega. La Rove LTD ha un gruppo SRAM Force 1 con una ampia gamma di rapporti, una guarnitura in carbonio Force e freni idraulici. I cerchi WTB KOM i25 TCS sono equipaggiati con pneumatici WTB Horizon TCS 650x47c tubeless ready su mozzi SRAM S900. È una bici costruita senza limiti, quasi una custom. Sia che tua abbia in mente lunghi percorsi gravel o semplicemente goderti la sensazione dell’acciaio e dei copertoni di grande sezione, questa è una bici che non ti farà desiderare nulla di più. 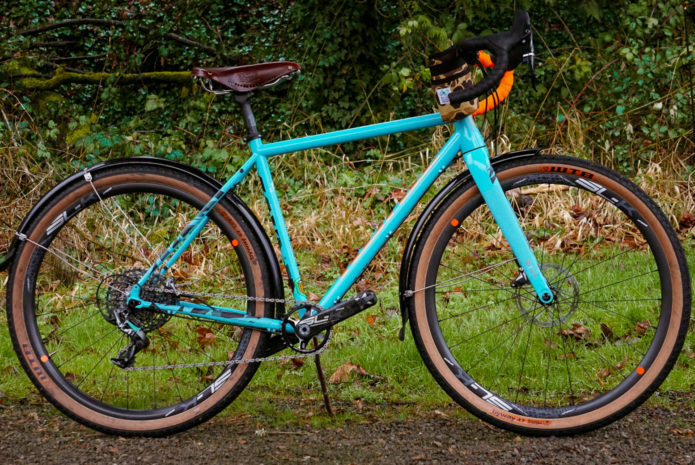 La Kona Rove LTD es la cúspide de nuestra nueva y expandida gama Rove. El cuadro en Reynolds 853 está diseñado alrededor de una nueva generación de neumáticos de gran volumen aro de rodado 650B, y con ejes pasantes Shimano E-Thru adelante y atrás. La Rove LTD con sus hermanas, las Rove NRB y Rove NRB DL, viene con una pipa de dirección cónica y con horquilla full carbono con anclajes de freno Flat Mount. 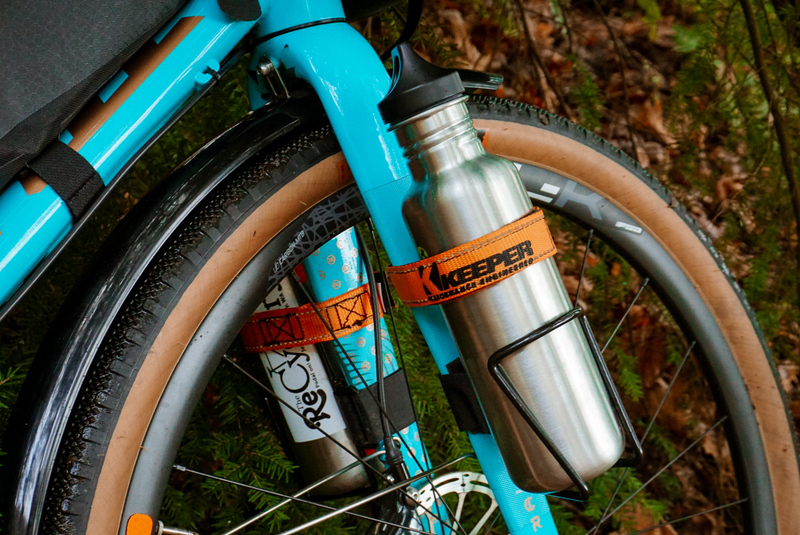 Estas bicis realmente son la forma Kona de hacer una bici con manillar de carretera.